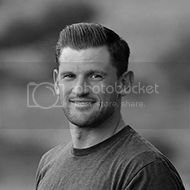 A few weeks ago, I heard country star Dierks Bentley perform at the Deer Valley outdoor concert series. It was a great night up in the crisp mountain air. Dierks has a song called Riser. The song has an awesome message. He reminds us to be a riser. "I'm a riser. I'm a get off of the ground, don't run and hider. Pushin' comes to shove, I'm a fighter. When darkness comes to town, I'm a lighter. A get out aliver, of the fire, survivor"
Now we understand some of the characteristics of a riser. 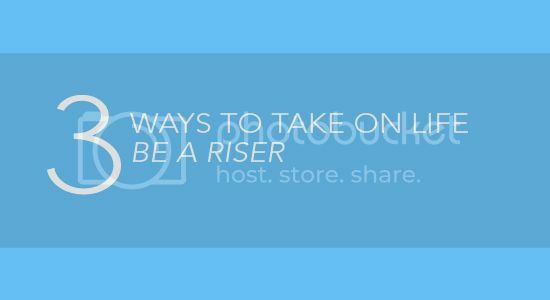 Let's discuss 3 ways to be a riser and positively take on life. Doing hard things and growing up to meet our true potential means we're going to fall and make mistakes. Many times these are little mistakes and many times these are big mistakes. Not matter what, rise up. We need to rise each time we fall or make a mistake. It first starts with doing our best to make things right and then moving forward—rising. I've learned that no matter how hard we fall, it's the getting back up that feels the best. I know it's hard, but you can do it—be a riser. Each person that's in the process of rising needs a helping hand. Look for ways to help and serve them. You'll become their light in a dark room. Not only will it help the person who is rising, but it will help you. Service is the medicine that works 10 out of 10 times. I know this sounds cheesy, but it's true. We're all going through different circumstances and challenges. Learning to love others for who they are and who they want to become will help them rise. Love breaks down hate, differences, and life challenges that seem impossible. Spend time each day learning to love those around you. Who doesn't need a little extra love. Each of us can be a riser. As we rise, we help others rise. If you want to receive real-time alerts on blog posts, you can subscribe to my RSS feed here. It has been almost two weeks since Germany was crowned the 2014 World Cup Soccer Champion. For me, one game stood out and has inspired me in life and business. 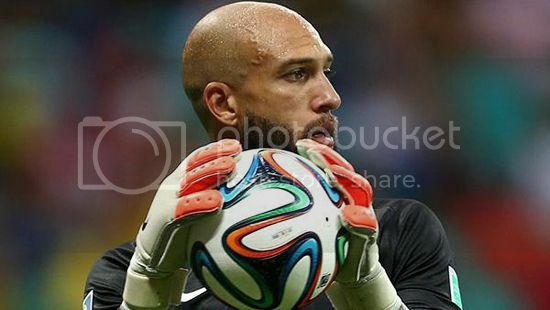 Tim Howard, American goal keeper, faced a never-ending Belgium onslaught for 120 minutes. 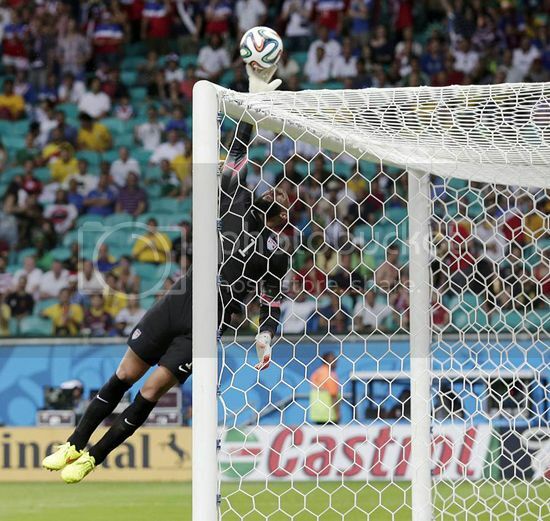 Howard tallied an amazing 16 saves, the most in World Cup history. 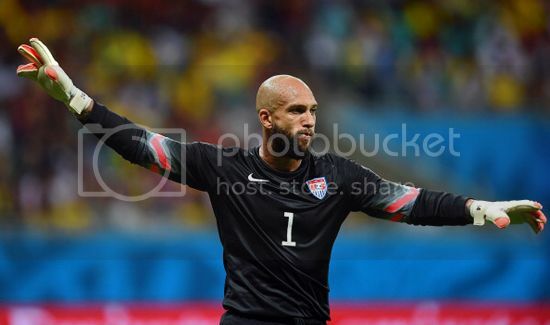 Even though the United States ended up losing the round of 16 match, Tim Howard quickly became a nation's hero. I could really tell that he was in the zone and that he really wanted to win. He was courageous and humble during the whole match. This attitude is crucial to succeed in life and business. So how did he do it? How did Howard have the game of his life? Nothing happens without hard work. The moments leading up to the zone or having the best game of your life, first start with learning and applying the principles of success. Not just for one day, but day in and day out, rain or snow. My favorite quote is, "To perform like a champion, you must practice like one." 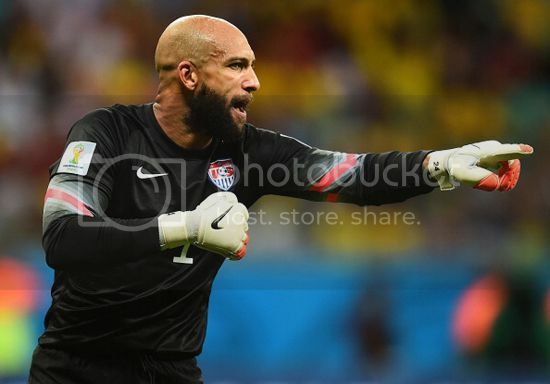 Consistent hard work focused on the right principles set Tim Howard up for his amazing world record game. 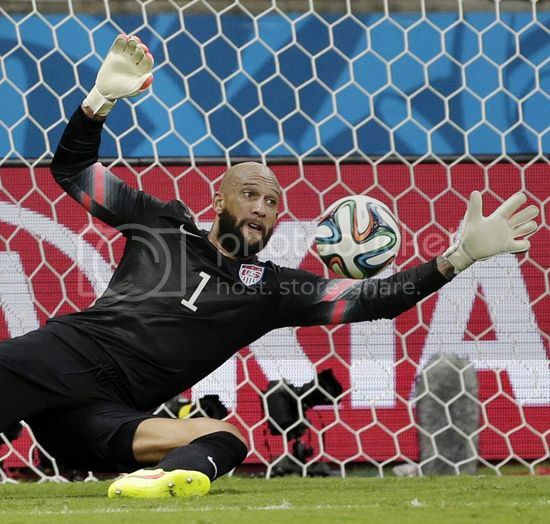 With 16 saves, I saw Tim Howard apply the principle of lift where you stand. This is a simple principle. Give it your all in the area you've been assigned. It's easy to point out how others are not doing it right or how they could be doing their job better. 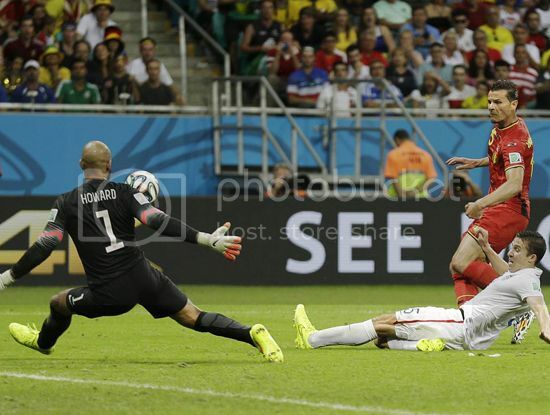 The lift where you stand principle was in full effect for Tim Howard. Each time it was his turn or in his area he made sure he lifted and lifted hard. Being a successful leader is helping every member of your team be positioned in the right area at the right time. 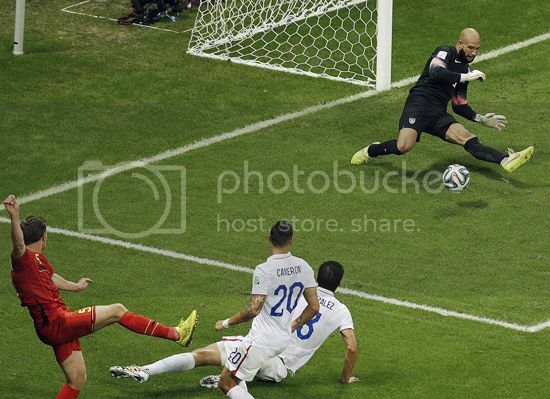 Tim Howard did this awesome. I could see him quickly point and shout out positioning statements with his team. 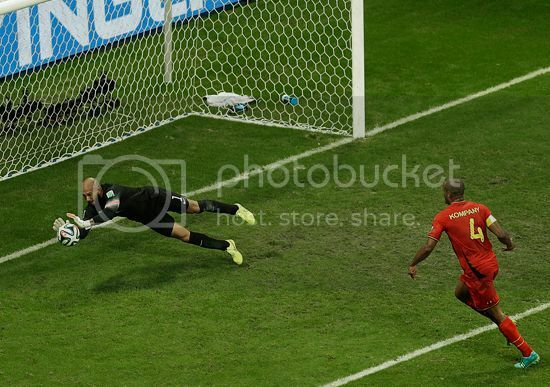 Once everyone was aligned in the right place, it gave Howard the right angles to be successful and save goals. This is simple. Be the person you say you are and show it by your actions. Tim posted this on his Twitter. 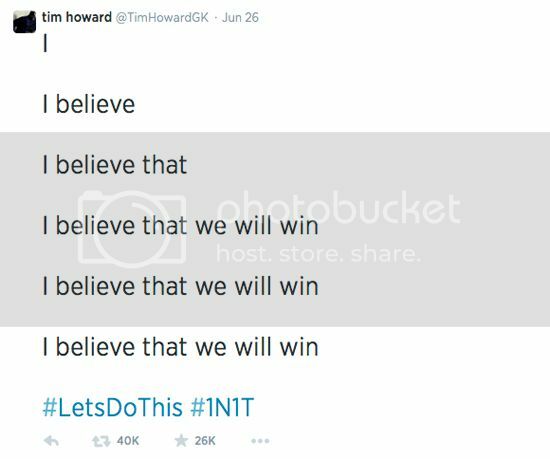 As Howard entered the field, you could see that he was determined to win. During the game, he gave it his all. This translated into energy for other members of his team. Energy can make or break performance. There you have it, the four success/leadership principles Tim Howard applied to have one of the best games of his life—world cup record in goal keep saves. If you want to receive real-time alerts on blog posts you can subscribe to my RSS feed here. 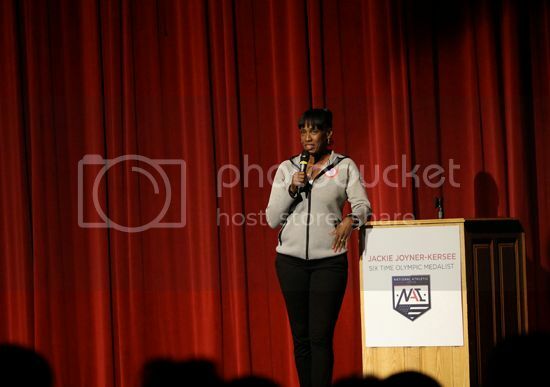 Tonight I had the opportunity to listen to, six time Olympic medalist and champion, Jackie Joyner-Kersee as part of the National Athletic Institute speed camp kickoff event. 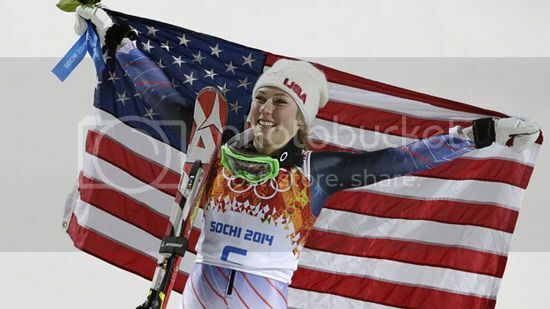 I grew up cheering her on. She is a true champion with a story that inspires each of us to believe anything is possible. 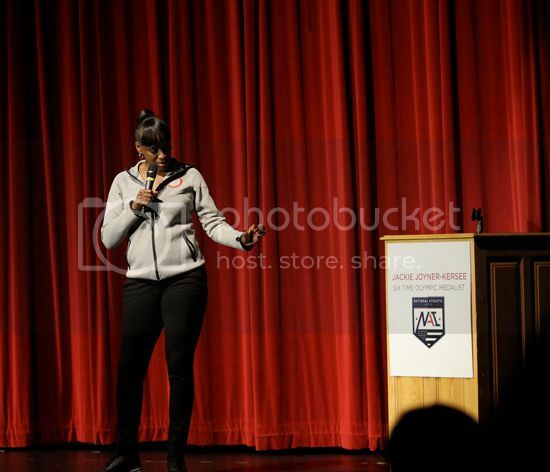 During her keynote, she said a profound statement, "Put Yourself in the Position to Win." This she explained, was a state of mind, an attitude—as much mental as physical. She explained how the 1984 Olympics really drove this point home. Even though crowned with an Olympic medal she felt as if she had much more to give and was personally disappointed with her performance. 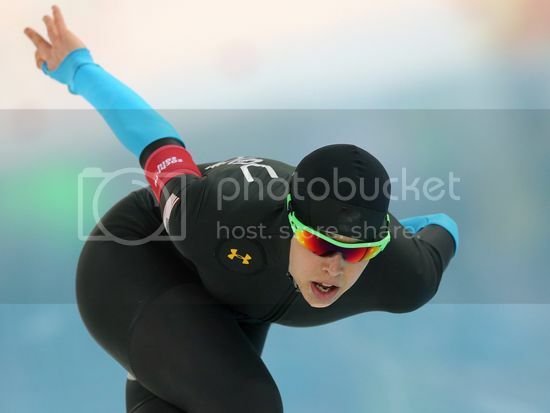 Like any great athlete, Jackie learned from her mistake and would change her approach to training in preparation for the 1988 Olympics in Seoul. It paid off and she won Olympic gold in the Heptathlon and Long Jump. Her success, she mentioned, was due to applying four principles. Each of us can apply these and win. Jackie said, "I wasn't the fastest day one. I had to work a little harder each day. I knew if I didn't, another competitor would. I knew as my legs burned that I was improving and becoming better. This is how I really began to grow as a world-class athlete." Jackie said, "I really had to learn to compete. Not just how to compete physically, but how to compete mentally." I agree with this, it really starts with our attitude. How we approach each day, each challenge, will largely determine if we have the capacity to win. Jackie said, "You must learn your pace. Many athletes would start out fast and slow down at the end. Other athletes would start slow and turn on the kick toward the end of the race. For me it was always knowing my pace. If I trained hard enough than my pace would be good enough to win." Jackie said, "Many people make excuses for how the day is going or why they are failing. Each of us are the ultimate decision maker of our day. We each need to believe in ourselves. You should never put your self in second place. You need to go out to win. A big part of this is having the right mental state of mind, so the physical can really kick in high gear." 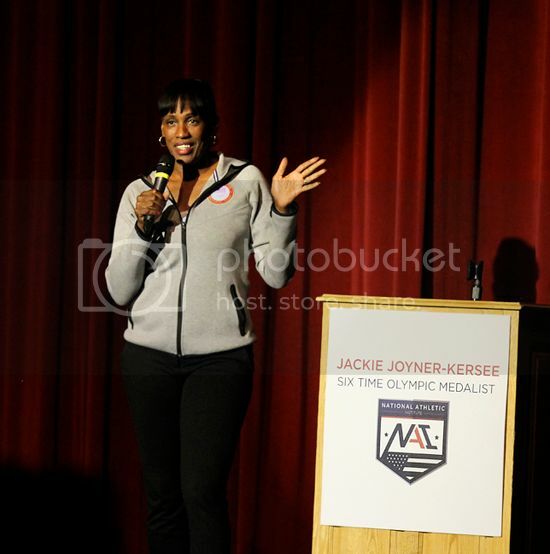 I think each of us can really benefit from Jackie Joyner-Kersee four principles to position ourselves to win. It was a privilege to listen to her speak. 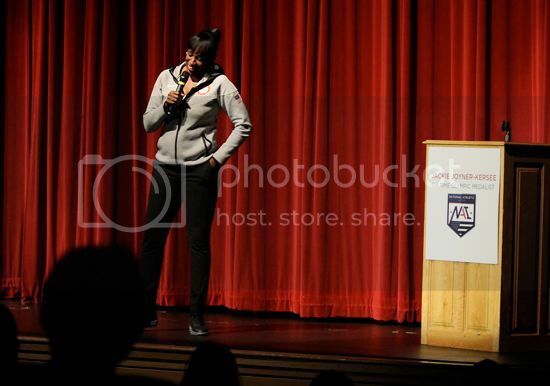 I also got to take pictures of her as she spoke tonight. These pictures I have highlighted in this blog post. I'll start with one question about your business work day, "How many hours do you work uninterrupted? When I mean uninterrupted, I am not just talking about people who may stop by your office or desk looking to chat, collaborate, or just ask an important question. There are other distractions or productivity killers that can cause each of us to lose our productivity, distract us, drain our energy, and make use feel like we are running around in circles. Just imagine a day with 3 hours of uninterrupted work. Just imagine the focus and progress you would make that day. In an article by David Franzen in this month's Content Marketing Magazine, Franzen explains 7 steps to achieve personal productivity and high performance. Franzen first explains three important elements that need to be present to achieve productivity. Below are Franzen's 7 steps that will help you achieve better personal productivity at work. Your desk should be reserved solely for the few items that your are currently working on. Place everything else out of your field of vision. This can be physical or digital. The key is to focus on one thing at a time. Keeping a to-do list with items prioritized based on importance keeps your brain focused. This way the next action you should take is always right in front of you. Making progress or completing a high priority task is vital to productivity. It sets the stage for the rest of your day. You will also tackle it with the most clarity and energy. If doing the most important thing first is setting yourself up to win, checking emails or any social media is setting yourself to lose. Don't do it. You brain will go into instant distraction mode. A better strategy is to designate a specific period of time each day to reading and checking emails. When you're working, you should shut off the sounds of email, tweets or Facebook messages. Imagine hanging a "Do Not Disturb" sign on the door of your mind. Mentally you can achieve a high level of focus by setting clear start and stop times for your work sessions. Recent studies have shown that eating at the right times, moving (walking, running or just getting in motion), and getting enough sleep daily help to invigorate your life with energy, creativity, and clarity—which are three important things to be more productive. Get started today and get in the productivity zone more often—get more of the right work done at the right time. 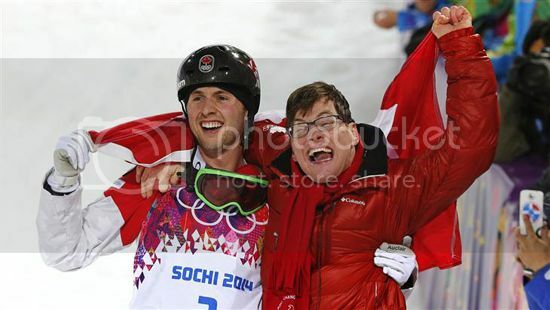 The 2014 Winter Olympics were full of amazing stories of victory and defeat. 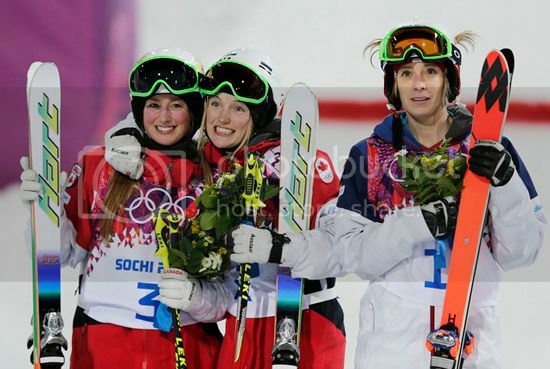 From the underdogs to the favored champions, the Sochi Olympics did not disappoint. With million of eyeballs watching, companies try to use creative marketing techniques to seize the moment. Oakley did it perfectly—it started with green. The Olympics has many rules against marketing and branding. Logos have to be a certain size. 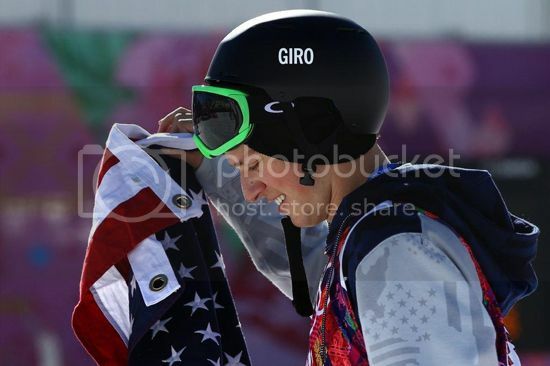 Olympians can't have stickers and patches all over their apparel. Signs along side the venues only promote the host city's Olympic logo and graphics. Companies spend millions of dollars to be the sponsored apparel for athletes in each discipline. 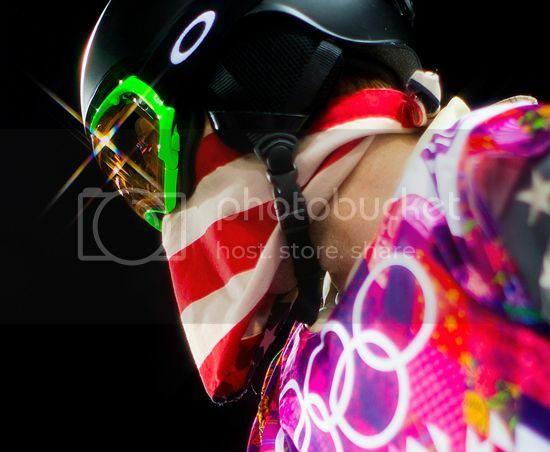 Oakley used a green frame product placement strategy to unite its athletes during the Olympics. In every discipline you saw the green Oakley frames. Why the Green Oakley Frames in the Olympics? Simple—it was genius. 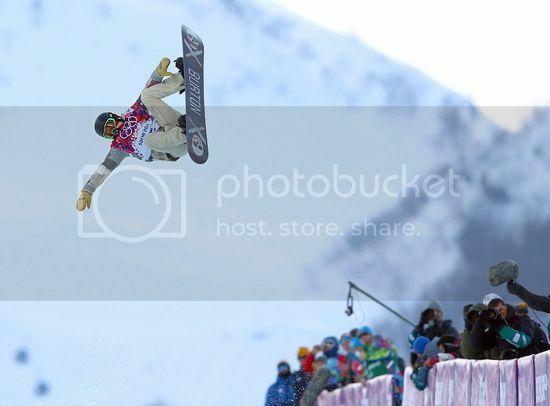 Like any great marketing strategy Oakley's product placement strategy started with a why. The why helped carry their story and the why helped explain their cause. Oakley said, "Oakley introduced its first goggles in 1980. The green color honors a heritage of innovation as one of our first goggle colors. 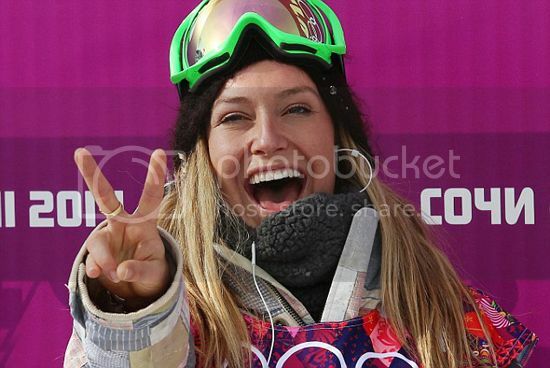 During Sochi, green will unite athletes from competing nations." Their strategy was brilliant. Oakley put a stake in the ground—the best athletes around the world wear Oakley and unified they will accomplish big things. Check out some of the great pictures of the green frames. 1. The Why - Using green goggles and frames Oakley drove product awareness & branding around a cause—unify top athletes around the world. 2. Bright Green - Brands are built on color. Oakley used a bright green color to stand out. The color's purpose was to celebrate 34 years of Oakley innovation supporting top athletes around the world. 3. 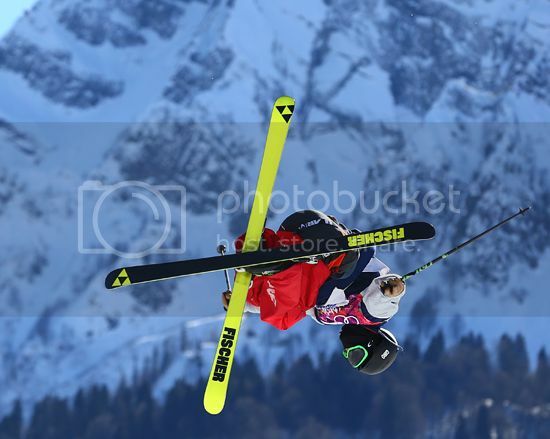 Eyeballs - Millions of people watched as Oakley green goggles and frames stood out and were noticed. Announcers even commented about the cause and reason for green frames. Each Olympics I watch for innovative marketers to take a different approach to marketing and branding. This year, Oakley was the clear winner. A brand is summed up by every touch point and an Olympic touchpoint is gold. 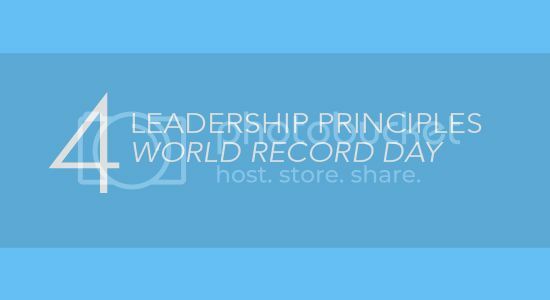 I'm an entrepreneur, marketing leader, and adventurer in pursuit of helping others find greatness. The purpose of this blog is to share insights about the principles, strategies, and techniques of high-performance business™ and high-performance life™. Comments and feedback are welcome.